Come for the UFO stay for the rainbow! The Rainbow Valley Amusement Park was a 12-hectare family theme park located on PEI. It was a place for everyone. Teachers took students there at the end of the year for class trips, families went there for birthdays and reunions, and tourists flocked there on vacation. Along with rides, outdoor checker boards, a children’s baby animal farm, the park featured it’s famous “Flying Saucer” gift shop. Rainbow Valley closed in the mid 2000’s to be bought by Parks Canada whereupon it was made into a day-use nature park, part of P.E.I. National Park. 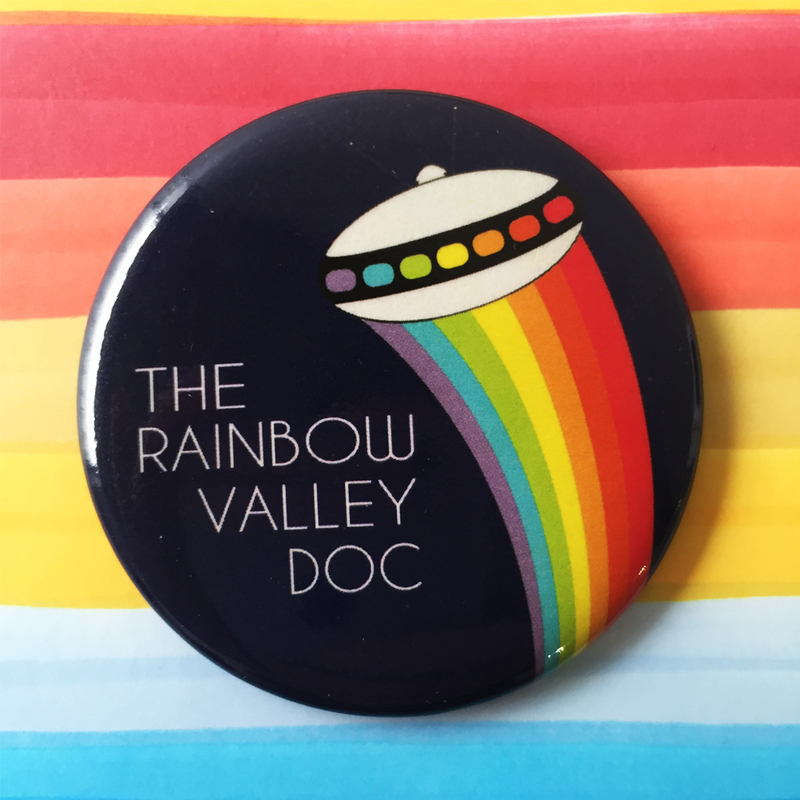 Now, over a decade later, Alexis Bulman and Patrick Callbeck of Charlottetown have produced a short documentary called The Rainbow Valley Doc. exploring people’s memories and the mythology surrounding the Rainbow Valley amusement park. The 2.25″ pin-back button was used as part of their Indiegogo campaign to fund the making of the documentary.